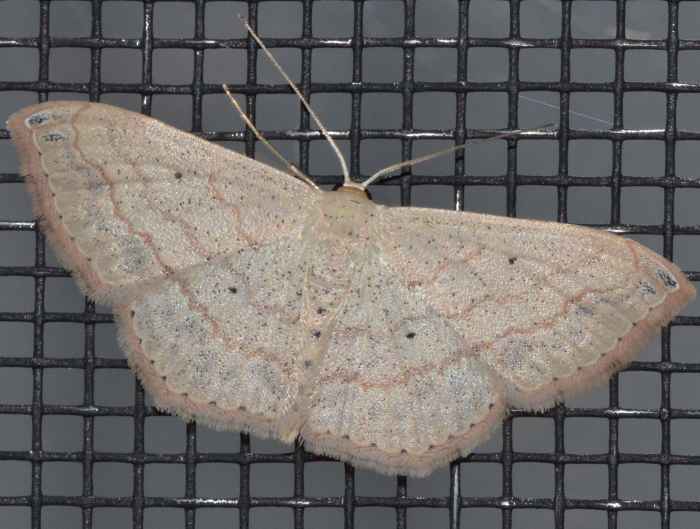 Scopula umbilicata - Hodges#7156 (Swag-Lined Wave). Size: approx. 20 mm. Photo: 10/05/11, 9 pm. Another pale brownish moth. This is a Swag-Lined Wave (Scopula umbilicata). A brown spot at the apex of the forewing is characteristic for this moth. There are 24 Scopula species in North America. Scopula limboundata - Hodges#7159 (Large Lace-border). 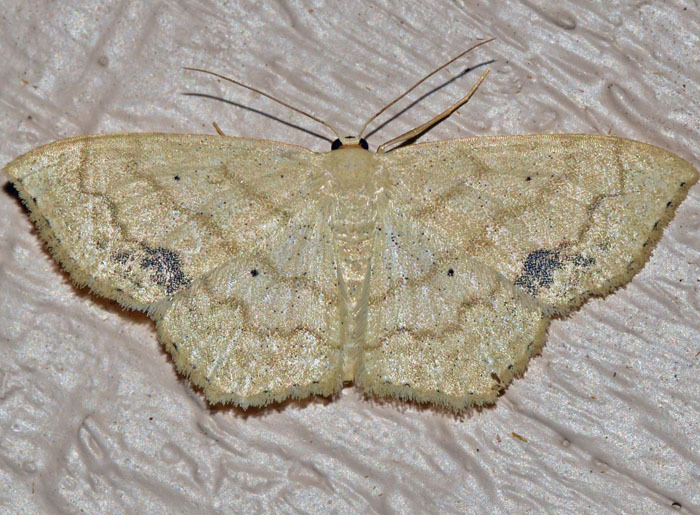 The outer margins of the wings are angular and the background color of the wings is pale or yellowish white, speckled with brownish yellow dots and crossed by 3 or 4 wavy brownish-yellow lines. It has also a small black discal spot near the middle of all wings. The caterpillars feed on apple, blueberry, clover, dandelion, meadow-beauty, and black cherry.